Join us for the most spectacular parade in 2015! 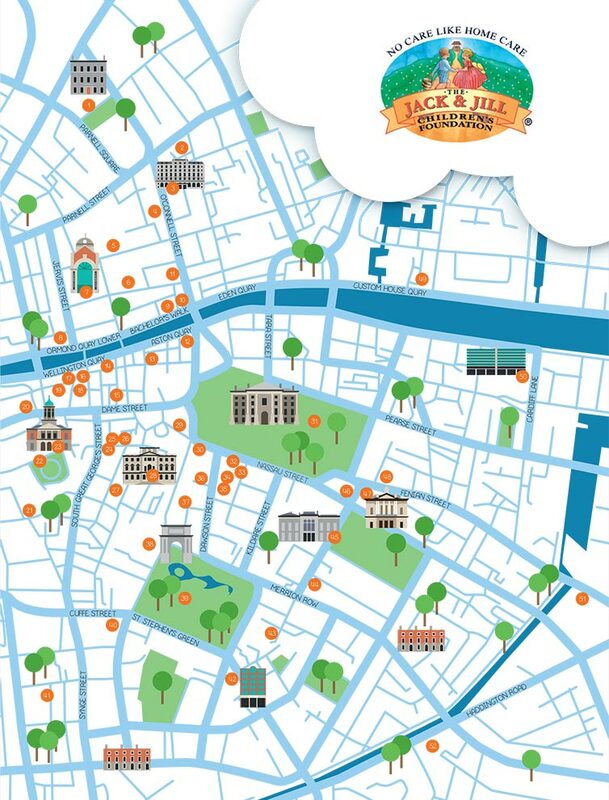 Follow the herds around Dublin this February and March and you can win one of our great prizes! See the map below to find out where to look to find the Pigs. Use the Pigs on Parade booklet to identify the pigs and collect every last one. Find 20 or more pigs, fill in the form and you could win one of our grand prizes. Set in the heart of Dublin the Central Hotel is uniquely placed as a start off point for the visitor to explore historical Dublin with champagne on arrival & enjoy a weekend stay for two. One of the most renowned hotels in Wexford, the Amber Springs is comfortable, relaxed and perfect for families. The prize is an overnight stay for 2 adults and 2 children sharing, with dinner in the Pig Trail Restaurant Gorey and the full Irish in Kelby’s restaurant next morning. Enjoy dinner, bed and breakfast stay for two in the award-winning Conrad Dublin hotel features luxury business and leisure amenities in a premier city center location. Pom-Bear Picnic Hampers (Prize includes 2 large packets of Pom-Bear crisps, picnic blanket, Pom-Bear teddy and flask set in a beautiful picnic basket). 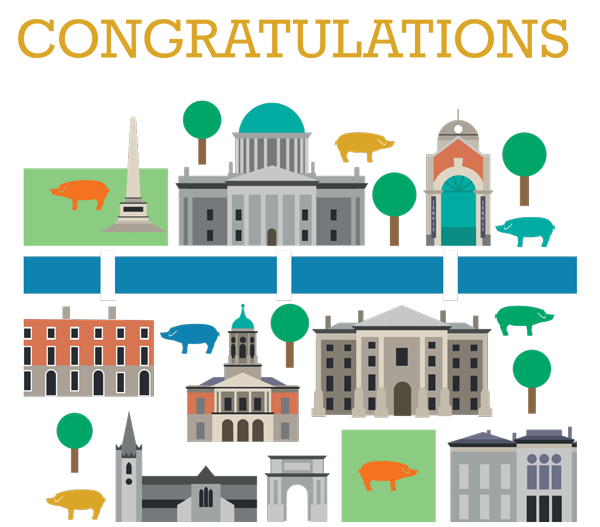 We would like to thank everyone who took part in our Pig Trail competition and made the Pigs on Parade 2015 a success! It has been a wonderful adventure for all involved which captured the imagination of thousands and thousands of people from both Ireland and abroad. This campaign was about fun, art, style but also about those in need – families of children with severe conditions who rely on the Jack & Jill support!